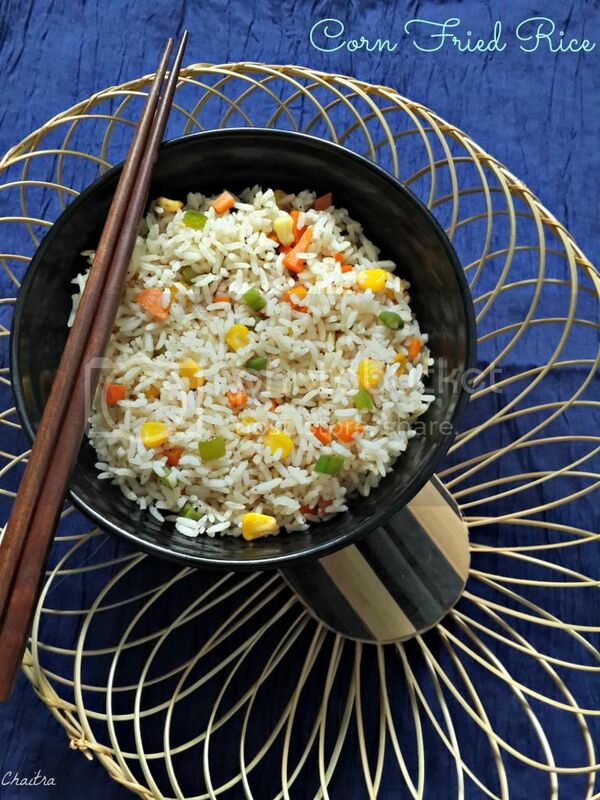 Easy to prepare and healthy fix..... Love this unique combination of Ghee toasted sweet corn with flavorful rice. 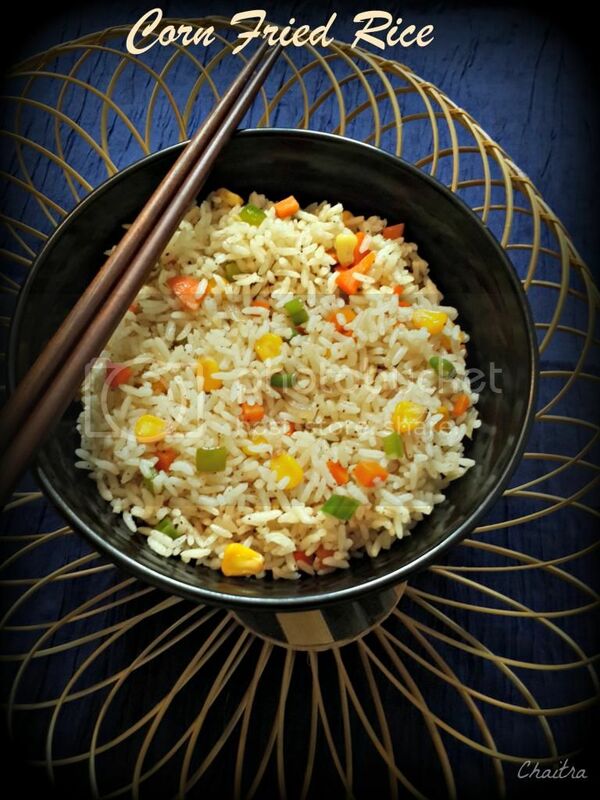 Perfect one pot meal to satiate your craving for taste and also to pamper yourself when you are lazy. Spring onions - 3-4 sprigs finely chopped. Pressure cook 1 cup of rice with one and 1/2 cups of water. 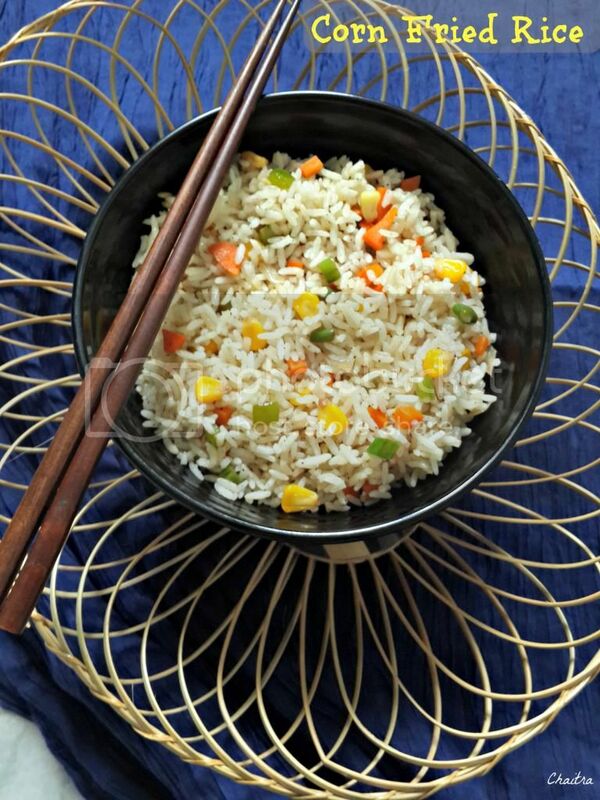 Add a 2-3 drops of oil in the pressure cooker before cooking rice and this will ensure that rice grains do not stick to each other . Add ghee in a pan and slightly toast sweet corn until slight brown in color. Remove sweet corn and allow it to cool. In the same pan add olive oil and cook all the veggies by adding sugar. Cook for 3-4 mins. Now add pepper, sweet corn spring onions and salt and fry for a minute. Lastly add cooked rice and mix all the ingredients well. Adjust salt if required and cook for 2-3 mins. Transfer the contents into a bowl and serve hot. Make sure that your rice is separate and fluffy. Left over rice works best. 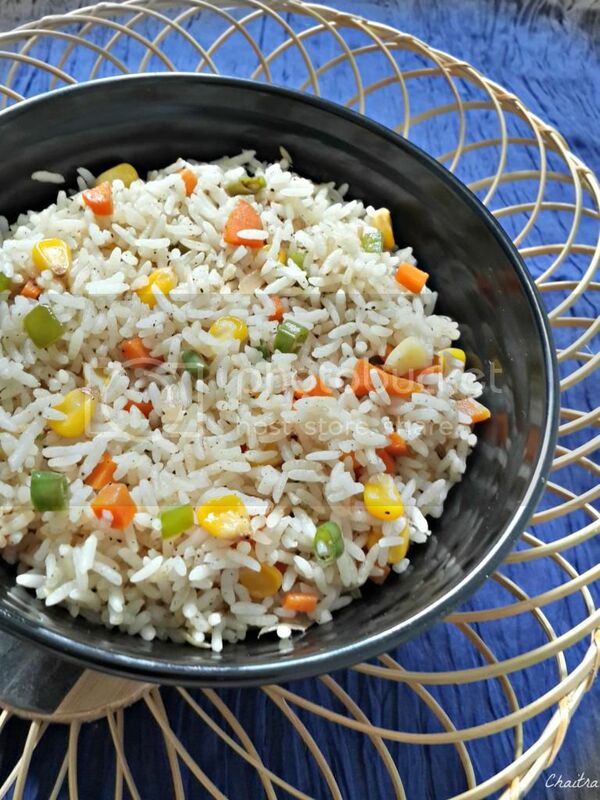 You can avoid vegetables and make it simple veg fried rice. You can avoid butter tossing corn. I usually do that as buttered corn tastes great. 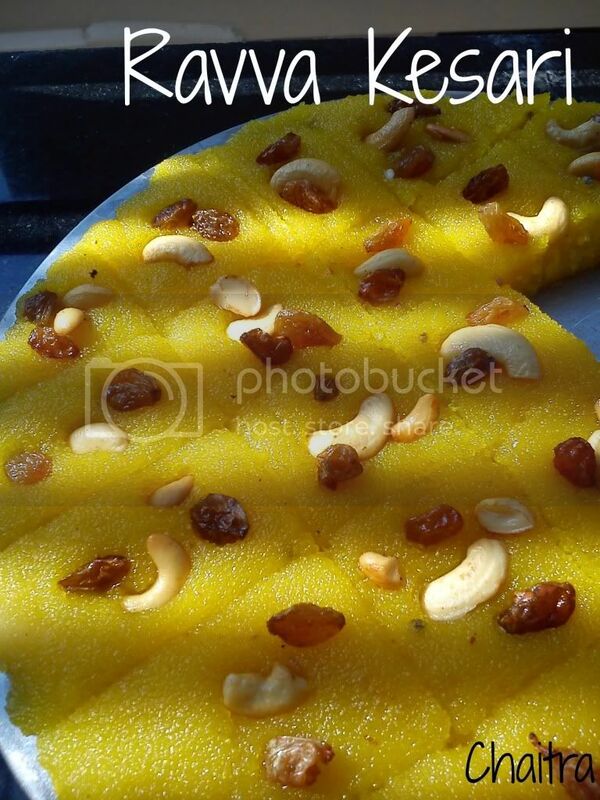 Simple and easy to prepare Ravva kesari..... I saw my mom preparing it with great ease and this took me 4 attempts to get the consistency and taste right. 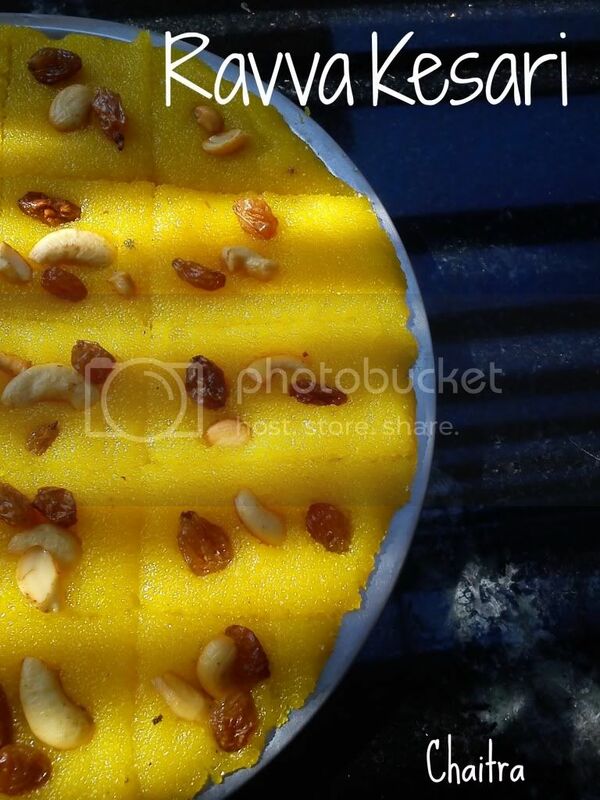 Yippie now I can make Ravva kesari to satiate my craving for sweets. 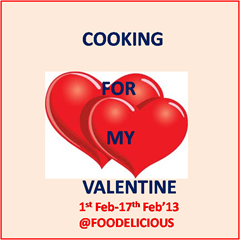 Sending this yummy delicacy to Event Cooking For My Valentine event and A giveaway by Cuponation hosted by Food Delicious and CupoNation. So indulge in this goooeeey and tasty Ravva kesari. In a heavy bottomed pan, add 2-3 tbsps of ghee and roast cashews and raisins until golden brown in color. Remove them and set aside. Now add one cup of sooji to the same pan and dry roast until golden brown in color. 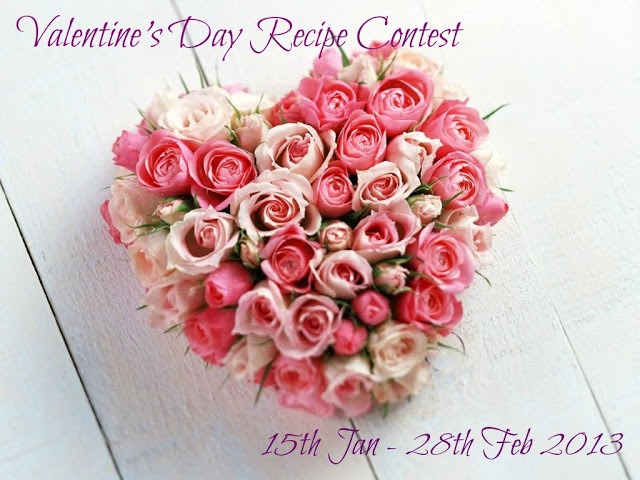 Keep stirring this sooji mixture till pleasant smell emanates in your kitchen. Add sugar and stir the mixture. Now slowly add water to this roasted sooji n sugar mixture and keep stirring to avoid lumps. If you wish you can add food color... I used organic yellow food color.